Few people have enough income from Social Security and company pensions (which are less common now) to support their retirement fully. Most need a way to get additional guaranteed lifetime income. 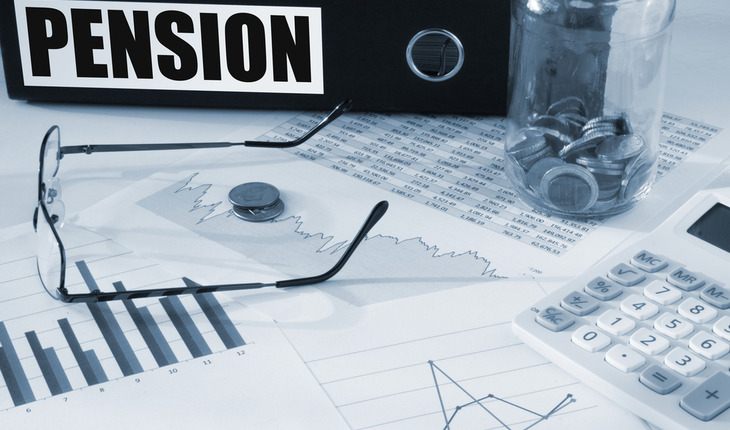 There is a time-tested way to create your own supplemental pension. Economists agree that annuitizing a significant portion of your retirement savings is the way to go, according to a study from Wharton Financial Institutions Center. By buying a lifetime income annuity, you can create your own custom pension. With a single-premium immediate annuity–another name for it—you can convert your savings into a monthly income that’s guaranteed for life. Life insurance insures against the risk of a breadwinner dying prematurely. A lifetime annuity does the opposite, insuring against the risk of living longer than expected. While most retirement plans anticipate an average lifespan, many people live far longer. A healthy 65-year-old man has a 50 percent chance of living beyond age 85 and a 25 percent chance of living beyond 92. A healthy 65-year-old woman has a 50 percent chance of living beyond 88 and a 25 percent chance of living past 94. With lifetime annuities, the 50 percent of people who die earlier than average subsidize the half who live longer than average. That risk-pooling is what makes life annuities so valuable. You can self-insure against longevity risk by investing in stocks, bonds, and savings. But there’s a cost. You’ll need to save 25 percent to 40 percent more than with an annuity because you won’t have the advantage of risk-pooling, the Wharton Financial Institutions Center study concluded. How much will you need to annuitize? First, try to determine how much monthly income you’ll need at a minimum in retirement. Then subtract Social Security and other pension benefits, if any. You can cover that shortfall by purchasing an immediate annuity. Because a portion of the income is taxable, you’ll usually want to wait until you’re about to enter retirement or semi-retirement. How far will your money go? Here’s one typical scenario: A 65-yerar-old man can create a $1,093.54 monthly lifetime income guaranteed for life by depositing $200,000 in an immediate annuity from a highly rated insurance company. If the buyer lives an average lifespan, to age 85, he will collect $262,449 in benefits—not a bad return. But the longevity insurance aspect really starts to kick in after 85, Nuss says. A man who lives to 90 will get $328,062 in total. A 95-year-old will have collected $393,674. Since you’re counting on an insurance company to keep its promise of providing lifetime income, be sure to choose a financially strong insurer. State guaranty associations provide an additional level of protection for annuity buyers, but if you choose a strong company, it’s very unlikely you’ll ever need to rely on the guaranty fund. Inflation reduces the value of future monthly payments. Insurers have responded by offering lifetime annuities with inflation protection that provide a stream of increasing payments. Inflation-protected annuities guarantee a growing income based on an annual cost-of-living adjustment (such as 3.00% or 2.50%) chosen when you buy the annuity. If you choose a COLA that’s near the historical average, annual income increases will outpace inflation some years, and in other years they’ll fall short. Thus, you’ll probably keep up with inflation in the long term. You do pay a significant price to get automatic “pay raises” annually. Using the same example, above, but choosing an annuity with a 3.0 percent COLA, your monthly income would be $792.47 to start. It wouldn’t exceed the monthly payment from the plain annuity until you reach 76. Even at 85, you would have collected slightly less in total than you would have with the plain annuity. You will, however, be collecting $1,431.29 monthly at that point. If you choose a lower increase, such as a 2.5 percent COLA, the differential will be lower at the start. Annuity expert Ken Nuss is the founder and CEO of AnnuityAdvantage, a leading online provider of fixed-rate, fixed-indexed and immediate-income annuities. He launched the AnnuityAdvantage website in 1999 to help people looking for their best options in principal-protected annuities. More information is available from the Medford, Oregon, based company at https://www.annuityadvantage.com.